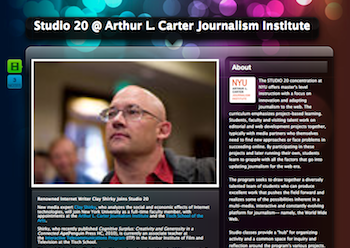 Studio 20 is a new, innovative approach to journalism education. It recently recruited Clay Shirky to teach in the program. Education content on MediaShift is sponsored by the USC Annenberg nine-month M.A. in Specialized Journalism. USC’s highly customized degree programs are tailored to the experienced journalist and gifted amateur. Learn more about how USC Annenberg is immersed in tomorrow. This week, three senior staffers from ProPublica will visit the second class of students enrolled in the Studio 20 program at the NYU Arthur L. Carter Journalism Institute. The reporters and students will begin formally collaborating on a question the non-profit newsroom has puzzled over since its founding in 2008: How can you quickly and clearly summarize the basic facts of the investigations ProPublica specializes in? The result of their work will be what they call an “explainer.” This open-ended method of quickly imparting the background knowledge necessary to follow a developing story can be an infographic, a video, a Q&A, or any number of other forms. Projects like this make up the backbone of Studio 20, NYU’s new innovation-centric journalism program. It’s a stark contrast to the curriculum taught in most journalism programs, which focus on arming students with skills and work samples to help them land jobs in broadcast, radio, or print media. Beyond the potential to create a bylined product that may be published on the ProPublica website, what is the value of this project — and by extension the Studio 20 program, as a whole — to students? It’s an opportunity to get real world experience with major media partners, say students and collaborators. But educators acknowledge that there are still some digital skills the program may be overlooking. NYU professor Jay Rosen, the director of the Studio 20 program, said the shift away from teaching skills and toward teaching innovation is a necessary response to the changing media landscape. With its central focus on innovation and experimentation, Studio 20 is intended to give students not only skills, but also an understanding of their rapidly changing profession. The program’s eponymous studio courses emphasize the importance of collaborative projects, public feedback, and flexibility. In Studio I, students focus on the history and future of innovation and collectively work with one major media partner on an innovative project out of class. This year, the Studio I class project was to study explanatory journalism and interview members of the ProPublica staff to learn about the explainers they will be producing in Studio II. The second studio is both very public and very collaborative. In the first Studio II class, students worked with the New York Times to plan and launch The Local – East Village. What began as a class project has now grown into a blog hosted on NYTimes.com and a hyper-local reporting class taught by editor Richard Jones, a former Times reporter. It is open to all of NYU’s J-school students as an elective and updated by paid student reporters during school breaks. In the less than five months since The Local – East Village (LEV) launched, it has produced a few notable achievements. First and foremost is the Assignment Desk WordPress plug-in. This open-source feature — made in collaboration with computer science graduate students at NYU — facilitates community involvement in the news production process by allowing community members to submit pitches, vote on existing story ideas, and comment on the works in progress (see an explanatory video below). On Thursday of last week, the LEV invited some 50 community contributors who have made regular use of the Assignment Desk to a thank-you dinner at NYU, according to Jones. Assignment Desk overview from Matt Diaz on Vimeo. Although Jones was unable to disclose any specific site metrics, he said that “everything I’ve heard from [the New York Times] has been positive. We’re certainly at or beyond where they expected us to be at this point.” The LEV team is well on its way to “hitting our marks and doing what we need to do to as far as building audience and building readership,” Jones said. ProPublica’s Umansky heard similar feedback while conducting due diligence about the program. The students I interviewed for this story spoke highly of their third and final studio, which brings together all of the focuses of the Studio 20 program. Students each arrange to collaborate with a media organization on a public project that is of personal interest to them. The first class of Studio 20 undertook a wide variety of initiatives. Czarnecka, Rosen’s graduate assistant, began working with New York’s local PBS affiliate on developing a television segment about startups in the city. She is now working on her own startup, Love Your Layover, which will produce content specifically targeted at travelers with long layovers. She started a page on noise issues in the East Village that aggregated stories tagged “noise,” data collected from regular decibel readings outside bars and other loud spots in the area, noise complaints phoned into the city’s 311 information service, public documents on the matter, and lists of key players in the issue. Mullany is most excited about her new job, which she believes her experience in Studio 20 helped her land. When she visited NYU while deciding on grad school, “they said, this program will help you get a job. That really happened for me,” said Mullany, who was recently hired as the social media manger at the New York Daily News. Having only taught the complete program once, Rosen is the first to acknowledge that there is more Studio 20 can do for students. No one is more aware of this need than the students in the program. For example, Rosen decided to teach more data visualization skills in this year’s Studio II as a result of requests he received last year from students. Mullany initially lamented the lack of programming training, but she then backtracked, saying she valued the flexibility of Studio 20. And flexibility is a must for journalism programs these days. “Going to journalism school now is like going to law school when your country is in the middle of a coup d’etat,” said Cody Brown, the founder of the NYU Local blog who is now launching a Twitter-based start-up Kommons. 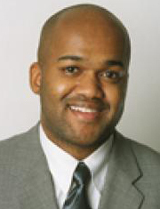 Brown was a student in Beat Blogging, a Studio 20 precursor class Rosen taught in 2009 before launching the full program the following year. While he said “academia has not caught up yet” with the digital transformation of the news industry, he sees Studio 20 as an attempt to bridge the knowledge gap. When Rosen was asked whether there would still be a need for an innovation-centric J-school program like Studio 20 if the tumult in the news industry ends and media companies go back to looking for journalists with specific skills sets, he laughed. “I’m not too worried about that right now,” Rosen said. What do you think of the Studio 20 approach to J-school? What projects would you like to see its students tackle? Should its curriculum be reconsidered or more widely adopted? Leave your thoughts in the comments section. 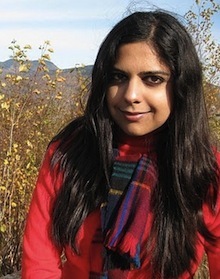 Corbin Hiar is the DC-based associate editor at MediaShift and climate blogger for UN Dispatch and the Huffington Post. He is a regular contributor to More Intelligent Life, an online arts and culture publication of the Economist Group, and has also written about environmental issues on Economist.com and the website of The New Republic. Before Corbin moved to the Capital to join the Ben Bagdikian Fellowship Program at Mother Jones, he worked a web internship at The Nation in New York City. Follow him on Twitter @CorbinHiar.